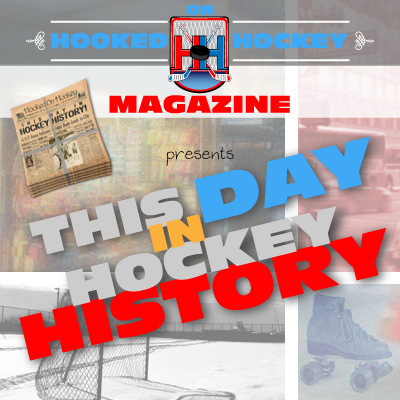 December 25, 1930 – The Falcons beat the Leafs 10-1, and Detroit’s mark of 10 was the highest total by one team on the holiday. The highest total goals was 12, an 8-4 Bruins win over the Penguins in 1970. December 25, 1956 – Gordie Howe had a good Christmas: He picked up a hat trick and added three assists in the Red Wings 8-1 win over the Rangers. It was the most points he scored in a single game in his entire 26-year NHL career! December 25, 1967/1968 – The Blues recorded shutouts on their first two Christmas games (they joined the league in the 1967 expansion). Seth Martin recorded his first and only career NHL shutout (Merry Christmas) in a 1-0 win over the North Stars in 1967, and Glen Hall had a 2-0 win in ’68. Other facts: Santa must have put some lucky rabbits’ feet in the Rangers players’ stockings: New York won 24 games on this day, going 24-11-2 on Christmas, which included a 16-game undefeated streak, and only one of those games was a tie (15-0-1)! It was a good day to be a Rangers fan (the only good day to be a Rangers fan). The streak lasted 22 years, from 1928-1950. On the other end, the Kings didn’t give their fans much to celebrate as they went 0-3 on Christmas and 1-1 on Christmas Eve. …Are you still reading? What are you waiting for! Go open presents or play some hockey outside! Hopefully it’s a white Christmas wherever you may be (that includes you, Floridians).